Brigham Young was an American religious leader who was the second president of the Mormon Church. This biography of Brigham Young provides detailed information about his childhood, life, achievements, works & timeline. Brigham Young was an American religious leader who was the second president of the Mormon Church, more formally known as the Church of Jesus Christ of Latter-day Saints. A very popular leader of the Latter Day Saint movement, he was known by many nicknames including "American Moses”, the "Modern Moses" or the "Mormon Moses" as his followers favorably compared him with the biblical figure. He was also a colonizer and played a significant role in the development of the Western United States. Born into a farming community, he donned many hats as a young man. He learned many skills and worked as a travelling carpenter, joiner, painter, and blacksmith, among other trades. He read the Book of Mormon shortly after its publication in 1830 and was drawn to the movement. 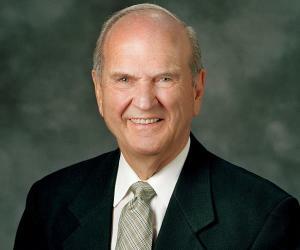 He became active in the movement and soon assumed a leadership role in the Quorum of the Twelve Apostles. When Joseph Smith, the president of the Church of Jesus Christ of Latter-day Saints was killed, Young took command of the church. He proceeded to stabilize the Mormon society and was also active in colonizing regions of the American West. A polygamist who had accepted the doctrine of plural marriage, he married more than 50 times. 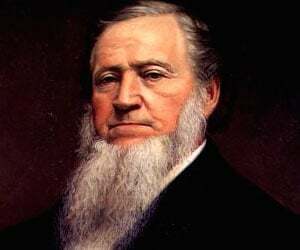 Brigham Young was born into a farming family in Whitingham, Vermont, on June 1, 1801. His parents were John Young and Abigail "Nabby" Howe. He had a rustic upbringing and went to school for just 11 days. Talented and hard working, he learned several skills as a young man and worked as a carpenter and blacksmith. He was also a skilled joiner, painter and glazier. Interested in religion from a young age, he converted to the Methodist faith in 1823. However, reading the ‘Book of Mormon’ shortly after its publication in 1830 provided him a new religious direction. Immediately drawn to the Mormon movement, he officially joined the new church in 1832 and traveled to Upper Canada as a missionary. During this time he established a community in Kirtland, Ohio, along with fellow Mormons. Becoming very active in the new church, he was ordained a member of the original Quorum of the Twelve Apostles in 1835. Very soon he assumed a leadership role within the organization and passionately began spreading the movement to the United Kingdom. The Mormons were driven out of Missouri in 1838, and as a senior member of the Quorum, Young directed the move to Nauvoo, Ill. He went to England in 1839 and helped to add many British converts to the Mormon Church in America through his mission. This aided the Mormons in establishing their foothold in the European continent. A very significant event happened in 1844. 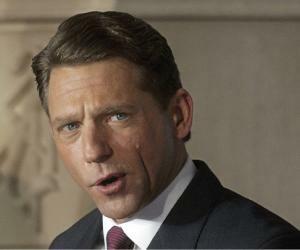 Joseph Smith, president of the Mormon Church, was murdered in June. Several claimants emerged to succeed the deceased president but no new president was chosen for the next few years. Finally in 1847, Young was ordained President of the Church. His selection as the president brought him in conflict with the other claimants and he decided to relocate his group of Latter-day Saints to the Salt Lake Valley, then part of Mexico. So he organized an expedition to take the Mormon pioneers to the designated place. 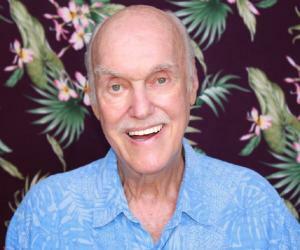 He personally led the trek of 60,000 to 70,000 of his followers to the Salt Lake Valley from Illinois, Iowa and Missouri. He then proceeded to found hundreds of settlements in Utah, Arizona, California, Idaho, Nevada and Wyoming. As the colonizer and founder of Salt Lake City, Brigham Young was made the territory's first governor. He guided the Mormons in the further development of the settlements founded and led the building of roads and bridges, forts, and irrigation projects. He valued the importance of providing good education to the younger generation. For this, he organized a Board of Regents to establish a university in the Salt Lake Valley. The university, established as the University of Deseret in 1850 was later renamed to University of Utah. In 1875, Young purchased land in Provo, Utah, to extend the University of Deseret. The land already housed a school which eventually became the Brigham Young Academy, the precursor to Brigham Young University. Within the church, he created organizations for young women and young men. He was also involved in prolific temple building. He designated the location for the Salt Lake Temple and presided over its groundbreaking. In addition he oversaw construction of the Salt Lake Tabernacle. Even though a highly popular religious leader, Brigham Young was also involved in several controversies regarding black people and the Priesthood, the Utah War, and the Mountain Meadows massacre. Brigham Young, along with other Mormons like Isaac Morley and George Washington Bradley founded the Salt Lake City in 1847. He led the Mormon community in extensively irrigating and cultivating the arid valley to make it suitable for human habitation. The city is home to the headquarters of The Church of Jesus Christ of Latter-day Saints. 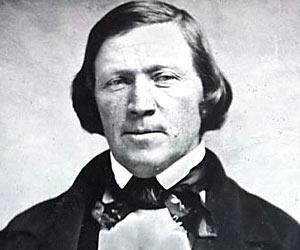 Brigham Young was perhaps the most famous polygamist of the early Latter Day Saint Movement. He married a total of 55 wives. Only his first marriage to Miriam Angeline happened before his becoming a Latter Day Saint. 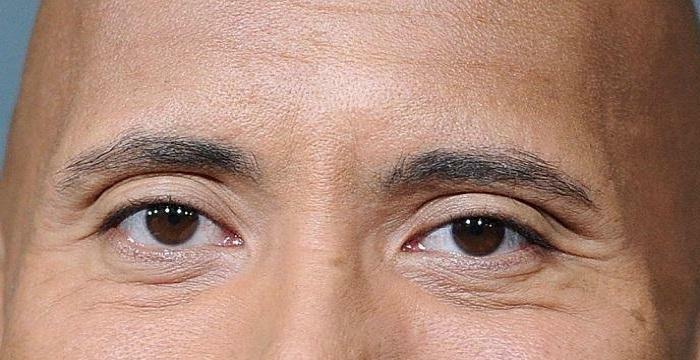 He had 56 children from 16 of his wives. He suffered from numerous ailments during the last days of his life. He had cholera morbus and inflammation of the bowels, and died of peritonitis from a ruptured appendix on August 29, 1877. He was 76. His funeral, held on September 2, 1877, was attended by an estimated 12,000 to 15,000 people. He was buried on the grounds of the Mormon Pioneer Memorial Monument in the heart of Salt Lake City.